Gardening Tools and Accessories shipped to your door. We stock a comprehensive range of gardening accessory categories/products ranging from brushes to baskets and hurdle screens to hosepipes. As our range increases we will add them to our website for online purchase. 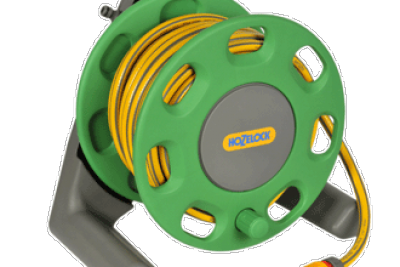 Lightweight reel holds up to 30m of 12.5mm hose. Supplied with 15m of 12.5mm Maxi Plus hose. 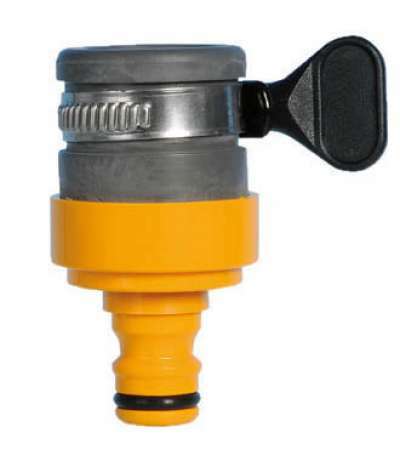 Includes 2 x hose end connectors, 1 x threaded tap connector and an adjustable nozzle. Freestanding. 30m of ultra tough braided hose.The hose has four layers, a smooth PVC inner layer to allow maximum flow, a thick PVC layer to add strength, a braided polyester layer to stop expansion of the hose and an extra thick tough PVC outer layer. 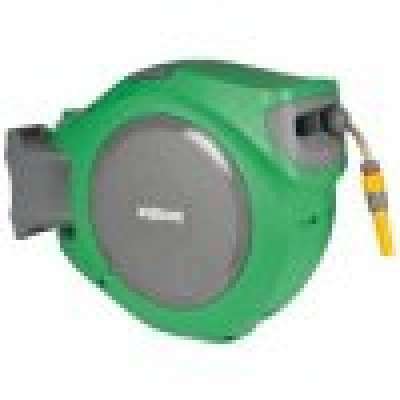 The new 30m AutoReel is a wall mounted automatic rewind hose reel. 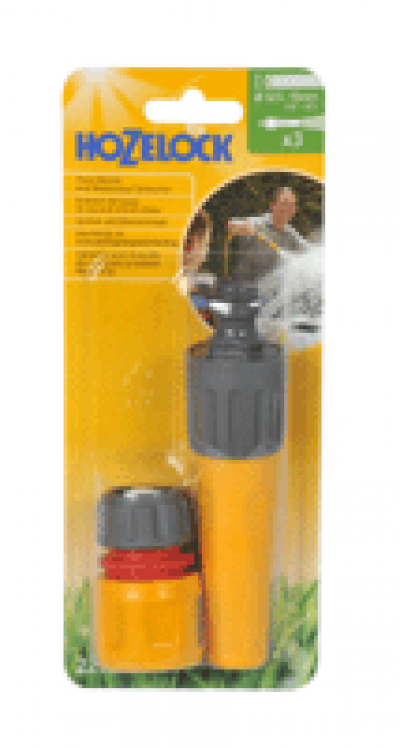 The AutoReel smoothly and easily unwinds the hose You can stop at any point and water. 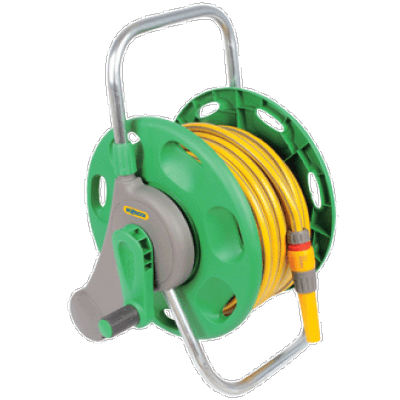 The reel's mechanism automatically locks so that you don't have to hold the hose taught. To unwind more hose simply pull out more , and the mechanism will unlock. 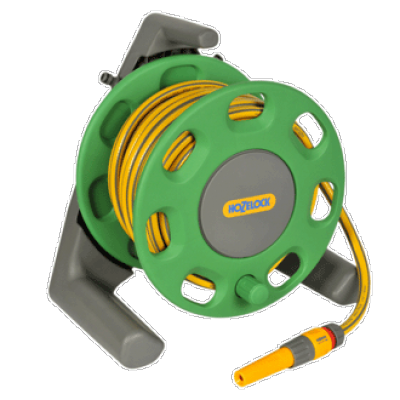 When its time to rewind the hose - a simple tug - unlatches the drum, and AutoReel's patented automatic rewind system takes over. A powerful spring winds the hose back onto the drum. 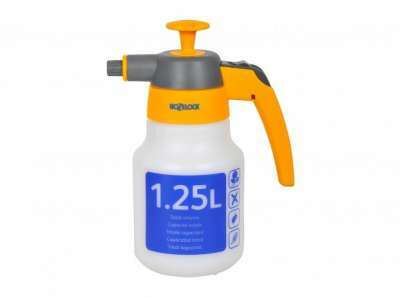 Hozelock 5 Litre Pressure Sprayer. Last drop technology, uses every last drop. Translucent, graduated bottle for accurate chemical mixing and dosing. 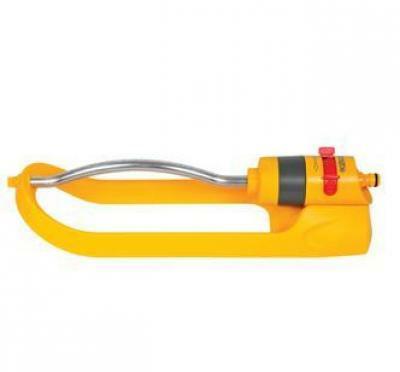 Wide,ergonomic pump handle for easy pressurization. 1 year guarantee. 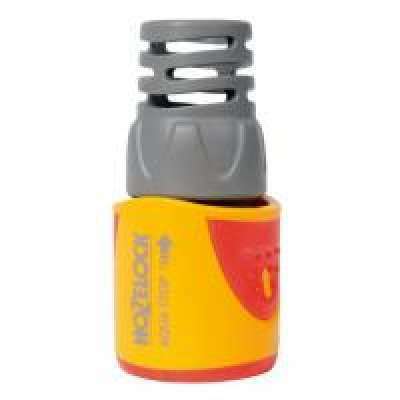 Rectangular Sprinkler Plus 180mÂ² oscillating sprinklers are the ultimate lawn sprinklers. They are specially designed to give 100% even water coverage regardless of the water pressure. (1-10 bar). 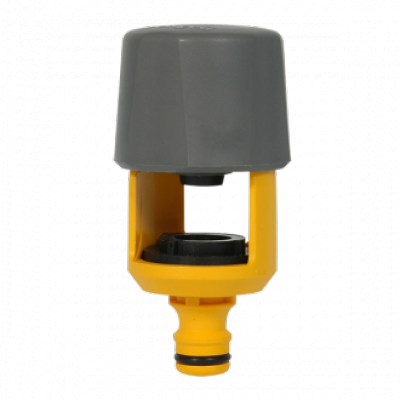 The sprinkler can water a rectangle or a part of a rectangle - adjustment is easy simply slide the red setting rings.There are 15 jets which gives a max area coverage of approx 180m2 . 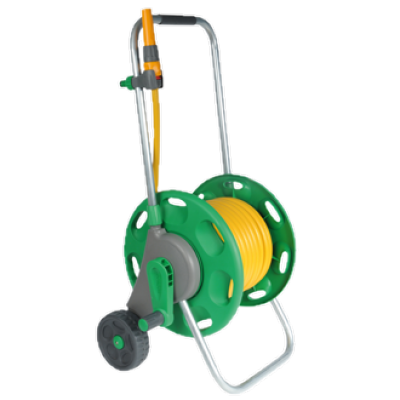 Perfect for lawns and established plants.The sprinkler is mounted on a stable sled which gives stability on a lawn or a border. This useful connector saves you from turning the tap off every time you change your hose pipe accessories. Simply placed on the end to stop water flow to reduce the waste of water. 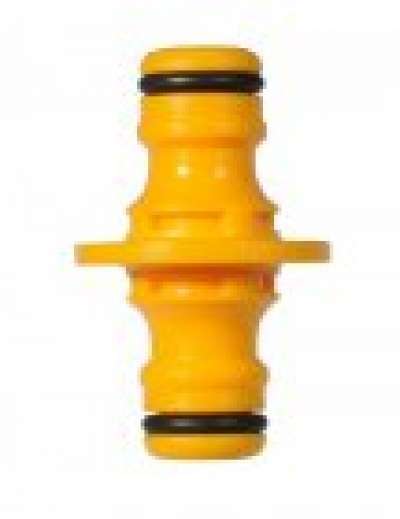 Can be used with all 12.5mm 1/2" to 15mm 5/8ths" hose pipes. Triple locking for securing up to 10 bar. Adjustable from jet to fine spray with male connector fitting and waterstop connector. 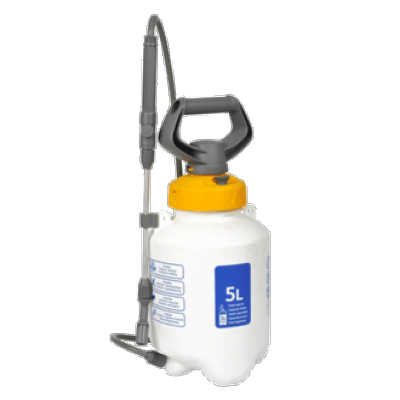 This standard sprayer provides easy, accurate and cost effective application of water, insecticides, pesticides, fungicides and water-soluble fertilizers. 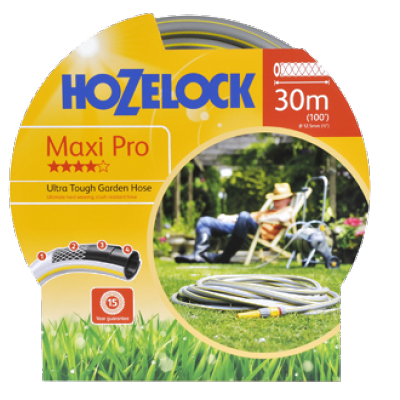 The Hozelock 1.5 sprayer is a compact, effective pressure sprayer ideal for outdoor use..
15m of good quality general purpose braided hose. The hose has four layers, a smooth PVC inner layer to allow maximum flow, a thick PVC layer to add strength, a braided polyester layer to stop expansion of the hose and a tough PVC outer layer, Diameter - 12.5mm (1/2") Quality - 3 Star. Guarantee - 10 Years.. 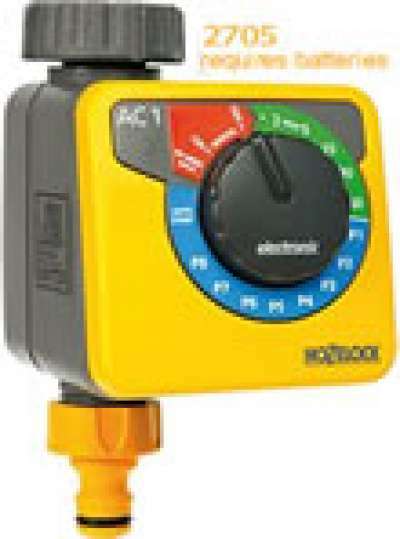 Hose is guaranteed free of heavy metals..
Hozelock Aqua Control Plus water timer with dial and button programming, allowing the user to select the current time, watering start time, watering frequency and watering duration. 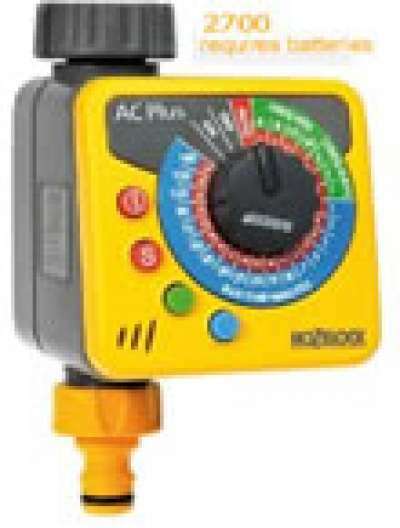 Hozelock Aqua Control 1 water timer with dial programming, offering a variety of watering durations from once per week up to four times per day. The all new Flexi Spray is an exciting, innovative multi-purpose hose end attachment designed to be moulded into an array of shapes to perform a wide range of watering functions. 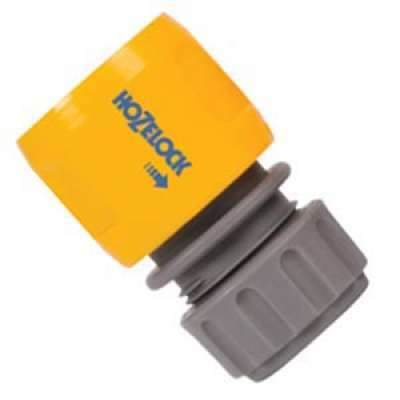 This is Hozelocks original hose end connector and is used on both ends of a hose pipe to provide connection to water sources with a Hozelock tap connector attached and to accessories with a Hozelock connection inlet. 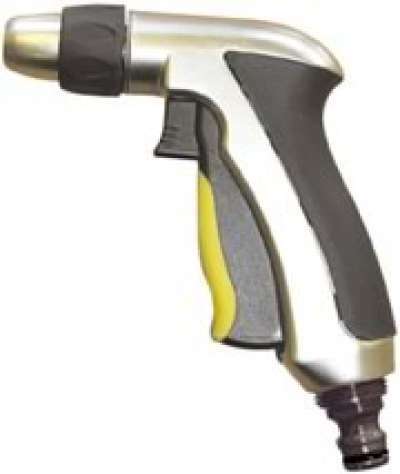 Premium metal gun with adjustable nozzle providing jet or cone spray patterns. This gun has soft touch plastic for maximum comfort and has a lock option to lock the trigger in the on position whilst in use. Designed to fit a wide variety of square, round and mixer taps to 43 mm high and by 34 mm wide. Complete with a choice of sealing washers to provide a leak-free connection. 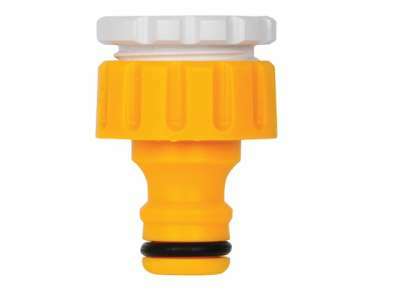 Use with square or round mixer taps, use on taps up to 43 mm high and 34 mm wide, leak free connection. 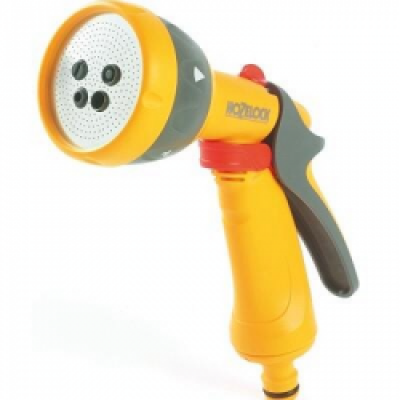 The Multi Spray Gun is a gardeners tool and provides five useful spray patterns- a powerful jet for garden cleaning, a wide cone for general garden watering, a flat spray for washing and light cleaning, a high-flow fast fill function, and metal rose for gentle rain like watering. Soft touch rear trigger for comfortable operation, which can be locked in position. 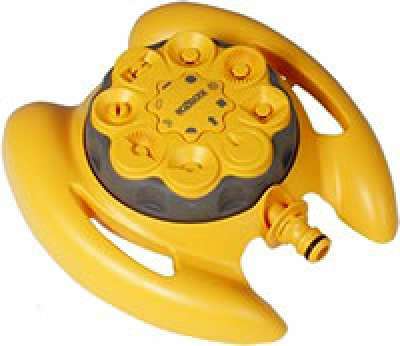 Class-leading dial sprinkler with a choice of 8 spray patterns to suit all watering shapes and types - small semi-circle, large semi-circle, mist, strip, large circle, small circle, square and remote jet. Complete with soft-touch easy-grip adjuster ring for changing spray patterns even with wet hands. Maximum area coverage 79sqm (max diameter 10m). Mounted on sled base to suit all surfaces. 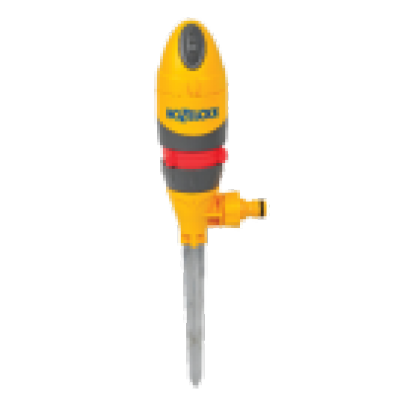 Round Sprinkler Plus geardrive sprinklers are the ultimate lawn sprinklers. They are specially designed to give 100% even water coverage regardless of the water pressure. (1-10 bar). The sprinkler can water a full circle or a part of a circle - adjustment is easy simply slide the red setting rings. There are 5 jets which gives a max area coverage of approx 314m2 or 20m diameter. 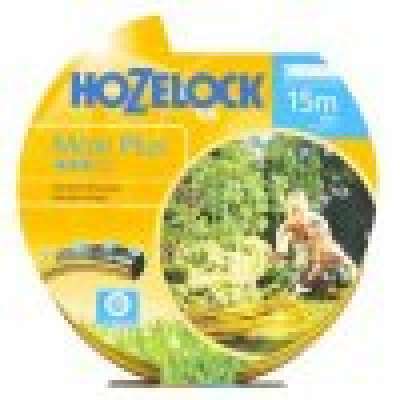 Perfect for lawns and established plants. For standard round or oval spout taps, maximum diameter 18 mm. The fitting is sealed to the tap by tightening the clip. 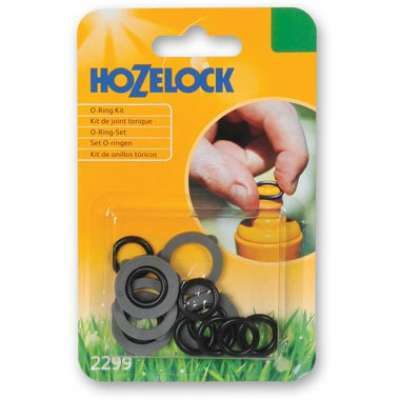 Use with oval or round mixer taps, maximum diameter 18 mm, tightening clip. 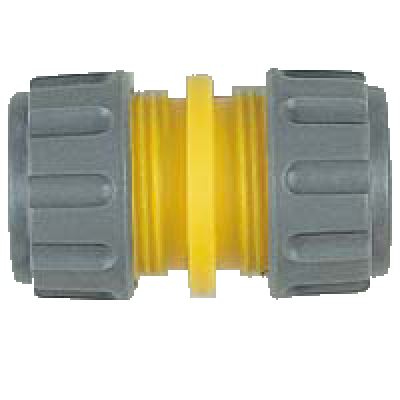 3/4in BSP tap connector suitable for use with 95% of all outdoor taps. Includes a 1/2" adaptor for older taps. 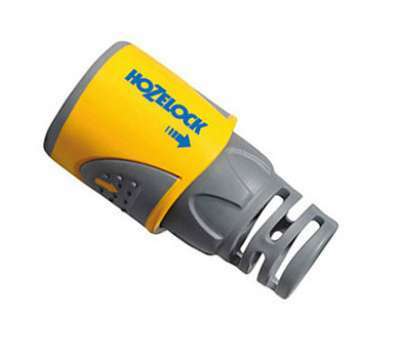 The connector securely attaches to the outdoor tap, and converts it to the Hozelock quick connect system.